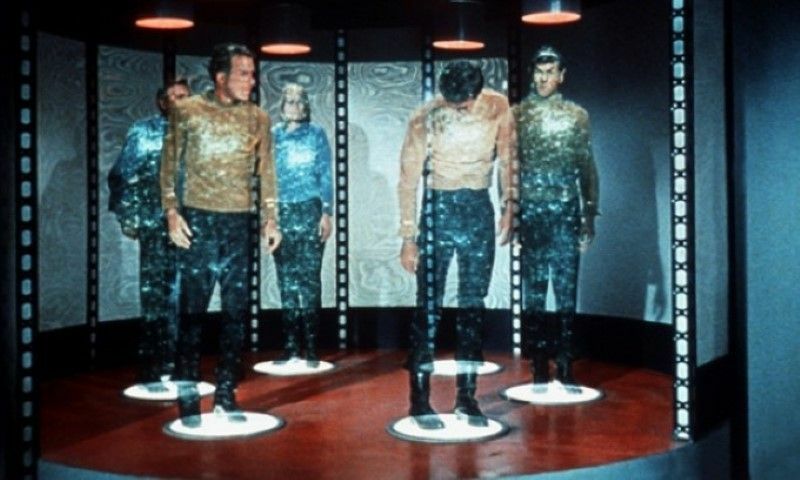 Teleportation has been the holy grail of transport for decades, ever since Mr Scott first beamed up Captain Kirk and his crew in the 1966 opening episode of Star Trek. Now the technology may have been cracked in real life … sort of. Scientists from the Hasso Plattner Institute in Potsdam have invented a real-life teleporter system that can scan in an object and “beam it” to another location. Not quite the dematerialisation and reconstruction of science fiction, the system relies on destructive scanning and 3D printing. An object at one end of the system is milled down layer-by-layer, creating a scan per layer which is then transmitted through an encrypted communication to a 3D printer. The printer then replicates the original object layer by layer, effectively teleporting an object from one place to another. The system dubbed “Scotty” in homage to the Enterprise’s much beleaguered chief engineer, differs from previous systems that merely copy physical object as its layer-by-layer deconstruction and encrypted transmission ensures that only one copy of the object exists at any one time, according to the scientists. Real-world applications are pretty short for this kind of destruction and reconstruction. But the encryption, transmission and 3D printing objects could be key for companies wishing to sell goods via home 3D printers, ensuring only one copy could be made per purchase – effectively digital rights management for 3D printed objects. Those looking to cut their commute by simply beaming into the office will have to wait at least another decade or two.